Diocese of Hong Kong: UN to demand religious freedom of Beijing - Four arrested underground priest 17th September 2013 10:07 | Note to editors (Hong Kong) Iustitia et Pax of the Diocese of Hong Kong, China appealed to the United Nations Commission, which periodically is concerned with the progress of religious freedom in the People's Republic of China. Iustitia et Pax called for the United Nations to urge Communist China to implement “religious liberty” in the letter of 18 July. The Diocese of Hong Kong gave the UN a number of new cases of serious violations of religious freedom. 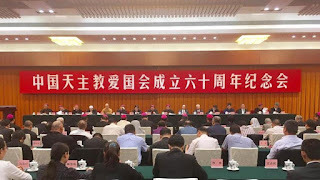 The specified include the illegal ordinations that the Beijing regime performs against the will of the Catholic Church. In the month of August alone, four underground Catholic priests were arrested. 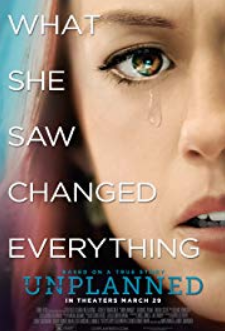 There is no information of where they are held or how they are doing. On the 2nd of September, a preparatory meeting of the UN Commission took place. 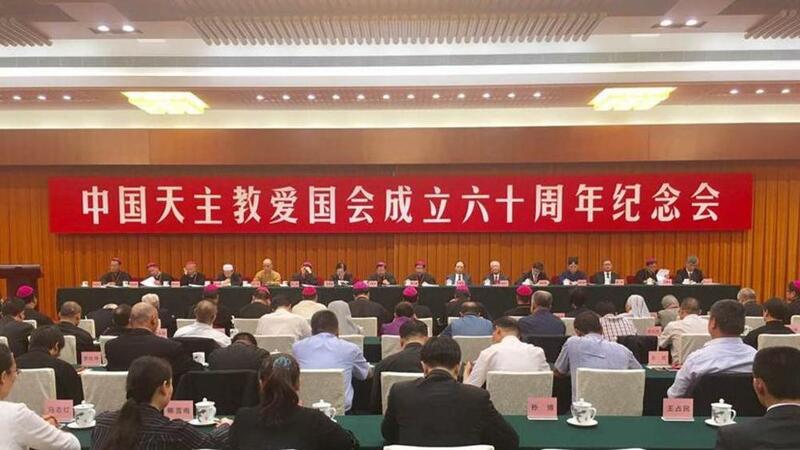 A meeting is planned for the 22nd of October, in which the periodic report on religious freedom in China is to be presented and decided upon. Rome (AsiaNews) - In recent months, since April until today, the Church in China has celebrated the ordination of six new bishops, as well as the official installation of a previously ordained bishop who had not been recognised by the government. What has been surprising is that all candidates were approved by the Holy See and recognized by Beijing. But even more surprising is that this wave of new Episcopal ordinations comes in the wake of two lean years, i.e. during which there were no consecrations despite the fact that there were about 40 dioceses of the official Church with octogenarian pastors, who needed replacement, or indeed vacant sees. The newly ordained (as well as the officially installed bishop) - of which AsiaNews gave immediate news - are the pastors of Bameng (Inner Mongolia), Hohhot (Inner Mongolia), Haimen (Jiangsu) Xiamen (Fujian); Sanyuan (Shaanxi), Taizhou ( Zhejiang), Yulin (Yanan, Shaanxi). Bishops in communion with the Holy See attended all of the ordinations, with the exception of that of Bameng. Instead in Bameng, the patriotic bishop Ma Yinglin, illegally ordained in 2006, attended the celebration. 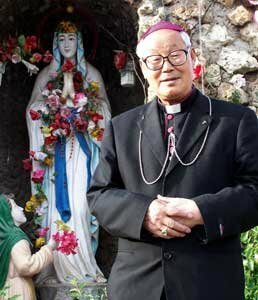 He is considered the heir to Anthony Liu Bainian, vice chairman of the Patriotic Association, nicknamed the "Pope" of the official Church because of his power over the finance and bishops of the Church. The document of the Vatican Secretary of State is "encouraging." Underground priests and nuns have begun to study the letter in groups. Others hope that the Vatican will give more precise information. A young bishop: We too need to be trained". Among the problems: priests too distracted by the Internet and a lack of educators in seminaries. Beijing (AsiaNews) - The Letter of the card. Bertone to Chinese priests, published yesterday, was received and read carefully. 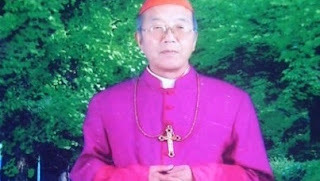 Bishops and priests in China are convinced that the formation and spiritual growth of priests should be the first concern of the Church. Marking the Year for the priesthood, the Vatican secretary of state, yesterday issued a letter to all priests in China, official and underground, calling for reconciliation and exhorting them to live out their vocation.